24 hours non-stop party with two of Ibiza’s biggest clubs: Ushuaia and Hï. Promoters The Night League, at the head of the two giants of the night, invite you to Odyssey, a huge party that will take place from 12pm … to 12pm! A whole day of celebration dedicated to electronic music, in order to celebrate the opening of the clubs and the beginning of the 2019 season. The first part of the event will take place at the outdoor venue Ushuaia, around the hotel pool. Then at midnight, simply cross the road to go to the new trendy Ibiza club: Hï. This is the first time an indoor-outdoor event of this magnitude will take place on the White Island. A line-up at the height of the event with internationally renowned DJs such as Richie Hawtin, Paul Kalkbrenner or Tale of Us, so expect the best of the house and techno scene. 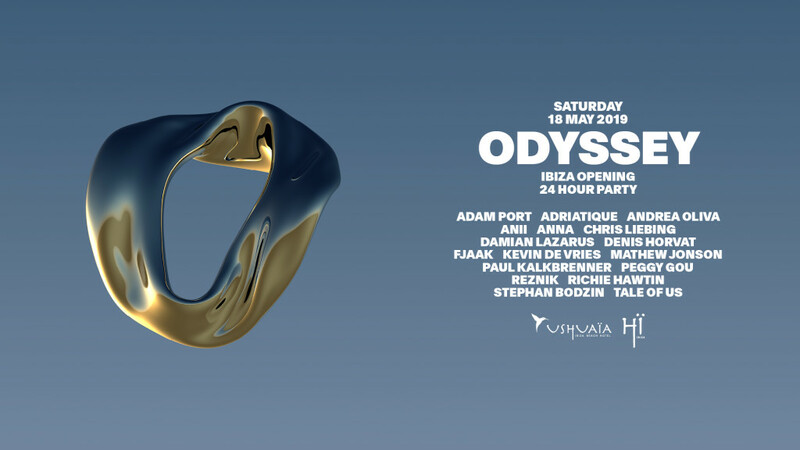 During your all inclusive holidays in Ibiza, do not miss this unique event from Saturday 18th to Sunday 19th May.